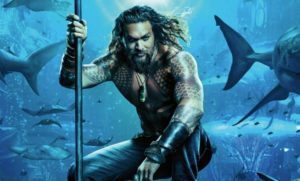 Prelude: Consider this article a follow-up or continuation of the article written in August 2018, titled “Two Joker Movies, or How DC Executives Lost Their Minds.” That article was all about how the DC extended universe (DCEU,) became clouded in failure. This one is about it’s promise and success moving forward. So, definitely a retraction of sorts, or at least a piece about how much things have changed since that other article. A lot has changed at the movies in the last year. Marvel took a chance on killing a ton of superheroes and ending the movie with their deaths. Jordan Peele has emerged as what has got to be nothing short of the new Hitchcock (granted, we once said the same thing about M. Night Shamalan, and look what happened there.) And DC movies have gone from pretty terrible to pretty good, in the span of about a year and a half. You see, one and a half years ago, in the fall of 2017, DC was rushing to join or catch up to the Marvel train. That’s why they gave us a Justice League movie that was strung together so poorly, there wasn’t even the same director making the whole movie. Instead of taking their time to develop standalone characters and build to an eventual team up movie, DC literally only had one standalone film before the team-ups began. And they didn’t seem to care much about release dates either, putting Justice League our just one week after Thor: Ragnorak hit theaters. For DC at the movies, it was too much too fast. The greed of wanting to be in the game with Marvel and make big money fast, was too obvious. Their first, and only, standalone movie, was Man of Steel. After that, the second movie in the DCEU was Batman Vs Superman. Not even Batman got his own movie with this plan. Wonder Woman did, but that was it. By the time the DCEU was putting out Justice League, only Superman and Wonder Woman had gotten films. From the DC marketing point of view, they had already introduced us to three characters, Batman, Superman, and Wonder Woman. Marvel had only introduced us to three characters too, before making Avengers. Iron Man, Captain America, and Thor. So what was the problem? Why wasn’t this playing by the same rules? First, none of those three Marvel films were team-up movies. Sure, Black Widow appeared in Iron Man 2, but she wasn’t one of the main three. It would have been like The Flash or Aquaman appearing in one of those earlier films (which they did, in B vs S.) But that wasn’t the problem. The problem was that these three (Batman, Superman, and Wonder Woman,) should have each had their own movie. The team up should have been saved. But by seeing all three of them fight together in Batman Vs Superman, it was killing the momentum that the series would have moving forward. Why care about a Justice League movie if we’ve already seen these heroes work together? It was showing their cards and playing their hand way too soon, not realizing that they weren’t actually saving anything for later. The other reason why Justice League did so poorly was timing. It literally came out in theaters just one week after Thor Ragnorak. Which meant people had already gotten their superhero fix for the week (or month.) DC had no patience and wasn’t timing things right at all. Aside from that, this movie was put into production so fast that when Batman Vs Superman came out in theaters, Justice League was already filming. Which means there was no time to make significant changes, like hiring a different director. Or learning from what fans were saying they didn’t like about B vs S and improving on these things. And the last reason why Justice League and the whole DCEU plan didn’t work was because it was all about the Extended Universe. There was no interest in making individual films that focused on quality. A couple of other franchises (or attempted franchises,) tried to do the same thing, and all of them were met with failure. Tom Cruise’s The Mummy was meant to launch “the Dark Universe,” for Universal. The movie was a mess, and did so badly that all “Dark Universe” plans were immediately scrapped. The same goes for The Amazing Spiderman 2, which tried desperately to lead into a Sinister Six movie packed with villains. The lesson was, stop putting the cart before the horse. Make a good movie first and foremost. Forget about the connections to other films. Get the audience to care about the characters, and then connect the movies later on down the line , after the audience was already on board because you had won them over. And now, in the past six months, DC has listened. Finally. First with Aquaman and then with Shazam. Both movies were barely interested in connecting to other films, and that went a long way. Instead, they wanted to be their own things. Notice how Shazam doesn’t even put itself in a made up city the way Batman, Superman, or Suicide Squad does. Instead, Shazam takes place in Philadelphia. What does this mean? It means that it doesn’t care about playing by the usual DC movie rules. This is one of many examples. The most notable one one has got to be the massive tone change. DC movies have gone from unpleasantly dark and gritty to campy, colorful, and fun. 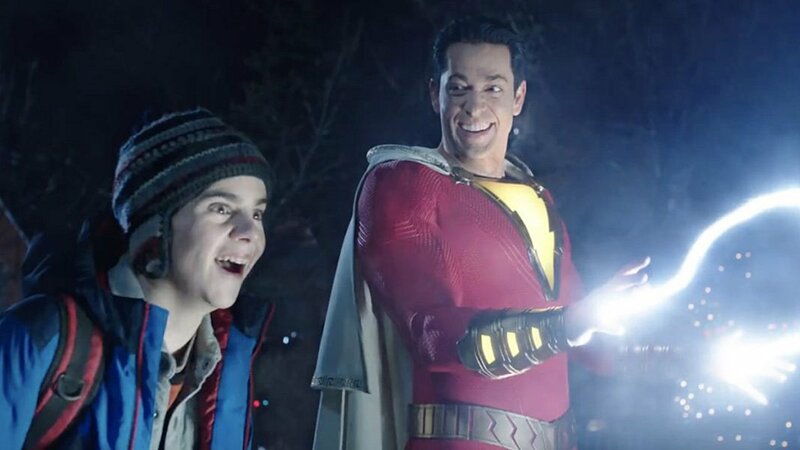 First with Aquaman, and now with Shazam. They’re taking a page out of the Marvel playbook, and it’s about damn time. These movies are meant to be light hearted fun. They should be films that kids can enjoy, not be disturbed by. We already got Christopher Nolan’s Dark Knight trilogy and it was great, so why keep making the movies dark? We saw the genre done that way, and it was good as it’s ever gonna get. But now it’s time to go the other way and cut loose a little. And based on the box office returns of Aquaman and Shazam, this is exactly what audiences want. For the first time in a long time, DC films look like they just might start excelling again.